I started writing this review a few nights ago, but managed, once again, to erase it. I think the rule should be "no posting when sleepy." I finished Little Women on Saturday during the Read-a-Thon. This was a re-read for me; in fact, this was probably the millionth time I've read this book. The beautiful illustrated copy I read was a Christmas gift from my favorite aunt in 1986, when I would have been 9 years old. It's stood the test of time, although the plastic cover is long gone. I love this story. I cannot count the number of times I cried while reading it. I've been particularly sensitive to family-based stories since I visited my own family a few weeks ago for my grandmother's funeral. I started reading the book on the plane, returning to Florida, but I soon had to stop because I was furtively wiping my eyes while the man next to me looked uncomfortable. Then I finished reading it on Saturday and I cried: at the part where Beth and Mr. March get sick...at the part where Beth dies...at the part where Jo and Mr. Bhaer come back together...I couldn't stop. The book certainly was preachy, but I guess it didn't bother me too much because I'd read it so many times as a kid, that I was used to the preachy quality. Plus, I think that tone fits better with the 19th century, Civil War sensibility. People were more religious back then...or maybe I was more religious when I first read the book. I don't know. 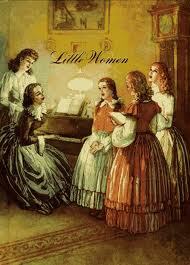 Little Women, for anyone who hasn't read the book, is the story of the four March girls: Meg, Jo, Beth, and Amy. Meg, the eldest, longs for the finer things in life, which she remembers from the days before the March family's "reduced circumstances." Jo, the tomboy, writes "potboilers" that she hopes will earn her a little pocket money one day. Beth is a saint, a homebody who keeps the house cozy. Amy is the spoiled youngest child, who hopes to grow up to be a famous artist. The book tells the story of their growth from young girls to wives and mothers. And it's sweet and sad and just a nice story. I still love it, like I did when I was a kid. Definitely five out of five Whatevers. I look forward to the sequel, Little Men AND the third in the trilogy, Jo's Boys. Number of books read since you started: One book and part of a magazine. Other participants you’ve visited: Mika at Read-a-Thon X, Laura Ashlee at Ramblings of a (Future) Librarian, and Teresa at Shelf Love; SusieQTPies at Scraps of Life, Capricious Reader, Courtney at Stiletto Storytime, Heather at Book Obsessed, Lydia at The Lost Entwife, and Melissa at Palmer's Picks for Reading; Vanessa at Vaness Reads 100 Books in 2010, Natalie at The Book Inn, and Emily at What Book Is That? Otherwise, the Read-a-Thon was great. Thanks to the cheerleaders and everyone else who stopped by my blog. See everyone in April!!! I'm still chuggin' along. Almost finished with Little Women! And when I'm done, I'm gonna read this month's Glamour magazine. Probably won't make it to another book for the Read-a-Thon, but that's okay. And, who knows? Maybe I'll get a second wind! Just part of that one. Honestly, I'll be happy if I GET to another book! Ha! Yes, I traded First Appearance weekends with a co-worker so I could have my day to myself. Also, I made an appointment to have blood drawn for Monday, rather than today, which is when I normally would have done it. The Georgia game was a bit of an interruption, and taking care of my husband is a bit of an interruption, as well, but he has actually been really good and respectful of my time today. How many people signed up! A little, but I'm drinking more caffeine. Magazines and short stories for readers!!! Getting close to the end of Little Women, which means I'm getting ever closer to the REAL tearjerker part...I have a feeling I'll be sobbing again soon. When I finish this book, I'm going to read a magazine for a change of pace! My favorite book about animals is Charlotte's Web. Spiders spin sticky strings showing smart sayings. The football game is now over and my Dawgs won! So now I can concentrate exclusively on reading. My husband joined me briefly this morning, reading some magazines, and may join in again before the day is over...we shall see. Okay, I cheated a little on this mini-challenge...this is a pic from April's Read-a-Thon, showing my library. The only thing that's really changed is that we've added a NEW bookshelf, a little three-shelf black one that holds a bunch of my husband's books. Also, see the post on indie books for a photo of my bookpile for the Read-a-Thon. I'm a little distracted by watching my beloved Dawgs beat up on Tennessee for the first half of the game. Once the game's over, I'll be back to more hard-core reading. Here are the spines of the books I plan to read (or try to read) today. Little Women is an illustrated edition published by Grosset & Dunlap, now a part of Penguin. The Barfighter is an ARC, published by The Permanent Press, which is a true independent press. Eggs is published by Little, Brown - an imprint of Hachette, so it wouldn't qualify. 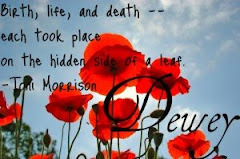 Outlander is published by Dell (Random House). Little Men is an edition which belonged to my mother as a child, published by Nelson Doubleday (now part of Random House). I'm reading another Permanent Press book, too, another ARC, The Disappearance. Finally, I have Amagansett, which is published by Berkley, an imprint of Penguin. So I guess the two Permanent Press books are my only two independently published books. But at least I have two!!! This was a cool mini-challenge because it made me think more about who's publishing what I read. I've never really paid attention before, and it was interesting to research the various arms of the big publishing houses. Books, caffeine, blogs: Dewey's Read-a-Thon ROCKS! Okay, that was kinda lame, but it's hard to fit everything into just six words!!! I'm making great progress in Little Women. I've been weeping my eyes out at the parts where Mr. March and Beth are sick, but those are over now, so I can dry out and keep reading. I do plan to have the TV on for a little background noise when Georgia and Tennessee play at noon, so my reading pace will probably slow down quite a bit. But I'm hoping the college football will be a good break for my eyes and my brain. GOOOOO DAWGS! As it so happens, I'm currently re-reading what was one of my favorite books as a child, Little Women. I have a beautiful illustrated copy that my Aunt Sharon gave me for Christmas in 1986, per the inscription. I haven't read this book in years, but I still remember the exact wording of bits and pieces of it, as I read it so many times (and even staged a production of it with dolls) once upon a time. I also adored anything by L.M. Montgomery (Anne, of course, but especially Emily), the Bobbsey twins, Nancy Drew, A Girl of the Limberlost and Freckles (I really liked "old-fashined" reads when I was a kid), The Borrowers, the Betsy-Tacy books, the Little House books...and the list goes on. I really didn't read much in the way of contemporary fiction as a kid. For me, it was far more interesting to read about times gone by. And my favorite picture book? 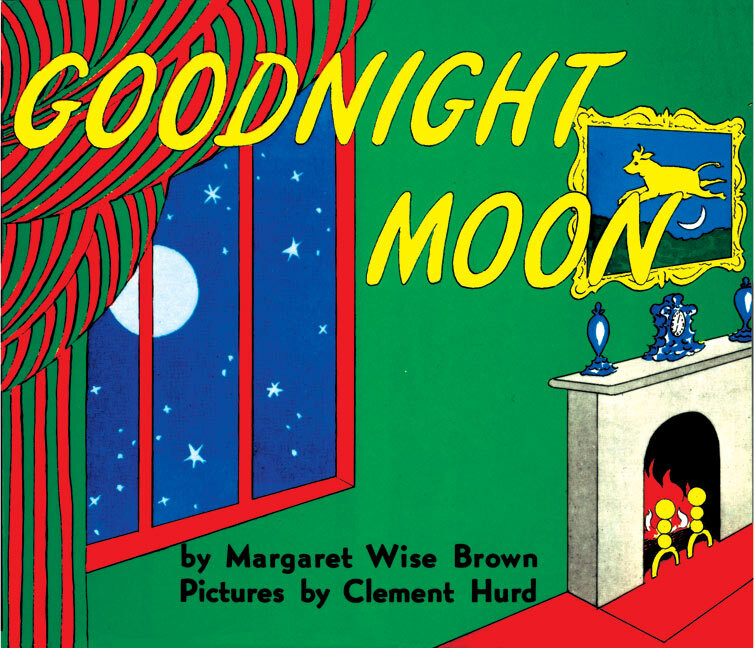 Why, Goodnight Moon, of course! Home, in south Florida, more specifically my couch. Possibly also the bed, the papasan and the recliner. 1. I am a Public Defender and one of those rare people who loves her job. 2. My husband was diagnosed with multiple sclerosis this year, and it has kind of taken over our life right now. 3. I am petrified of spiders, but don't mind any other kinds of pests. Seven books and one magazine. I'd like to beat my number of pages read at the last Read-a-Thon (736), and I'd like to stay up later, too. I think I gave in around 11 pm last time. That's too early!!! I swear by magazines and short stories. I only have one magazine and NO short stories, though, for this RAT. Gonna go visit a couple Read-a-Thon-ers and get back to my book! I'm ready to go! I hope you all have a stack of great books to enjoy!!! Have a great Read-a-Thon everyone!!! The Read-a-Thon is tomorrow!!! I can't wait! I've got some books picked out and some snacks ready. I need to put some sodas in the fridge (caffeine is key) and maybe select another book or two, but I'm otherwise ready! Ricky will probably be joining me for part of it; the cats will not. Well, the challenge is almost over, and how am I doing? 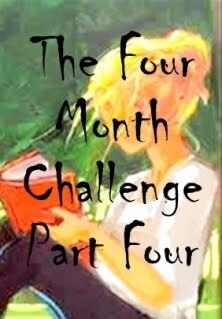 I've read a total of, um, four books while the challenge was ongoing. The Jewish Princess Cookbook - Okay, so maybe this is cheating a little, but this was the chick lit-est cookbook I've ever seen! Comanche Moon - This book takes place "on the cusp of the Civil War," as I said in my review, but I think it counts. It may be stretching it, but cut a girl a break, here. Basher Five-Two - This book would really fit into three categories in the 15-Point Challenges section (also an author I've never read before and a book with a number in the title), but I don't think I get to count it three times! I've reviewed all of the books I've read, but I don't think I can count them twice! And I reviewed The Best American Non-Required Reading but it failed to post...not my fault, blame Blogger. So I'm up to a total of 30 points (45 if you give me credit for my review of The Best American Non-Required Reading, which I sort of posted a review for...Blogger ate it and I got mad and only posted my rating). Honestly, that's better than I thought I would do. I'm currently reading Little Women (a re-read for me, which is also, coincidentally, a banned book, although I can't find details of its banning anywhere...), which I don't think will fit into any of the categories (it takes place during the Civil War, but I've already filled that category). No, wait! It's a hardcover copy that I've had since I was a little girl! Ooh, I better hurry up and get it finished, so I can count it! I just wrote the BEST review of The Best American Non-Required Reading 2009 plus some bonus material about what's been going on in my life and my excitement over the upcoming Read-a-Thon, and f'ing Blogger ate it. So please know that I finished BANR2009 on Sunday before I left Ohio (where I was visiting briefly for my grandmother's funeral) and that I give it four and a half out of five Whatevers. And my favorite piece in it was "The Chameleon." And life has sucked for me for most of this year, but I'm really looking forward to the RAT next weekend. And if it is ruined for me in any way, I will quite possibly snap and go on a killing spree.